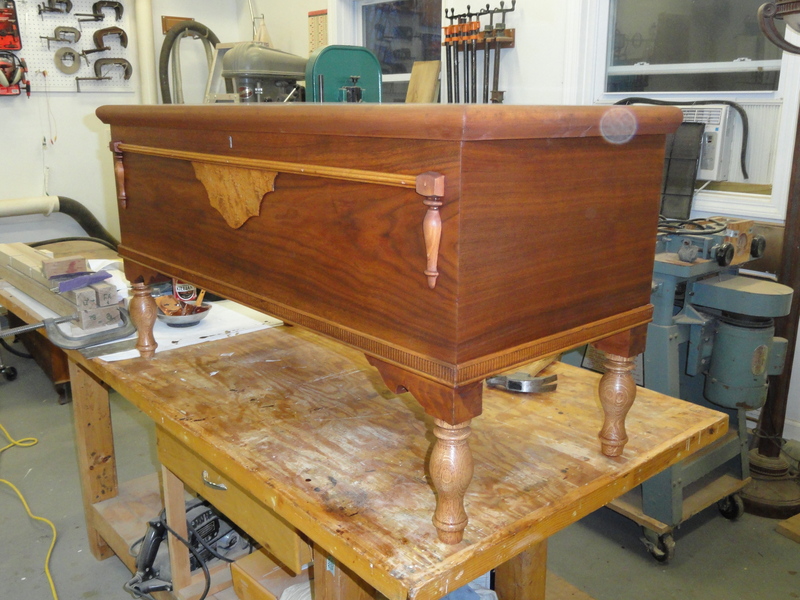 Here is what it looks like with the first coat of stain. The picture does not do it justice. The stain is called Candlelight and it really brings out the depth of the grain in the walnut veneer. I am still debating between shellac and a satin urethane finish.